Welcome to our Adopt a Wetland program! This program provides volunteers with a chance to get to know a wetland and all its fun amphibian friends really well. 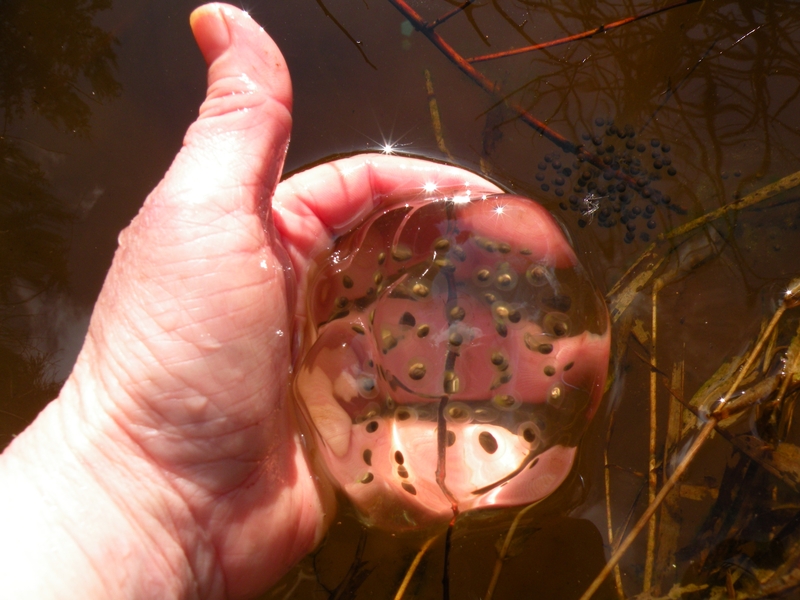 Adopting a wetland means that you agree to visit that wetland a minimum of three times during the egg laying season (February through May 1st) and collect data on the number and species of egg masses. You can input your collected data here on our online data form. Ready to sign up? What you do is pick a wetland on the map below (or you can add your own) to call your own. Click on the colored pins to tell you about the location and click on the wetland itself and it will tell you a bit about that site and the level of difficulty. Pick one that sounds like something you can handle and does not have someone’s name already on it. You can work alone (although we really encourage at least teams of two) or you can put together a whole group of folks to do the survey work. Once you have selected your site, register for it using the form at the bottom of this page. The form also requires you to pick a 2nd and 3rd choice in case your 1st choice has already been taken. If you have a different wetland you want to add, contact Vikki at vikki@whatfrogs.org to add it to the map. The goal is to get these all over the county! Hoppy counting!